This Halloween get some positive energy by The tiger’s eye bead paved with cubic zirconia. 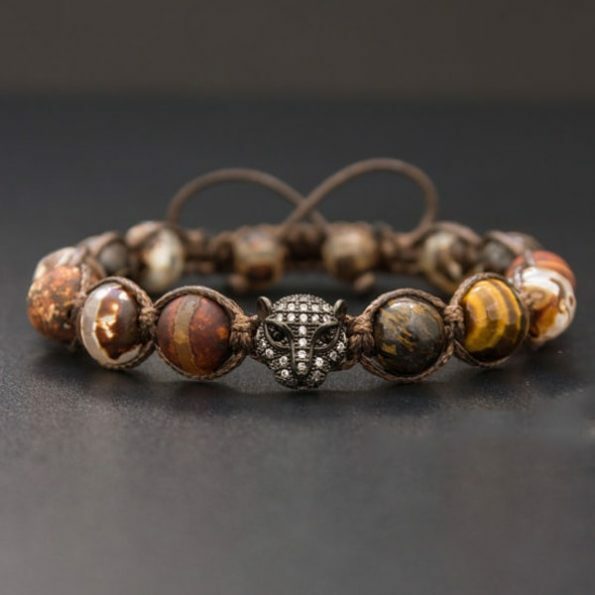 This is one fantastic bracelet with a mixture of faceted tiger’s eye, coffee mother of pearl, bronzite and agate beads. It has got dark brown waxed Shamballa cord, with two Tibetan agate beads as stoppers.